A variety of BCom courses are offered by business schools and tertiary institutions in South Africa. Finding course options and tertiary institutions won’t be a challenge – but choosing the institution which offers the right BCom course and major subject/s that perfectly suits you is a different story. In South Africa, there are eleven traditional universities, six comprehensive universities and six more universities of technology plus another fifteen private colleges and universities. In total, there are about thirty BCom majors to choose from. Now that we have established that you do have options, choosing the right BCom for you boils down to research, financial considerations and self-reflection. There are many subjects that form part of a BCom degree, for example: information systems, economics, industrial psychology, accounting, marketing, maths, risk management, stats and taxation. Don’t be intimidated by these subject names; they should excite you because the knowledge you will gain will prepare you for your career. Remember that class attendance and staying on track as a distance learner are two important ingredients for success in your studies. 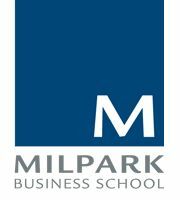 Milpark Business School is an accredited private business school in South Africa with three specialised academic faculties. These faculties are Financial Planning and Insurance, Management and Leadership, and Banking. The new Milpark Bachelor of Commerce degree offers additional majors in Banking and Financial Planning. Build your business career with Milpark Business School. Find out more about our business qualifications now or contact us for more information. We are ready to assist, whether you have one simple question or need help choosing the right BCom course for you.